Estimating how much fabric to purchase or cut to make a cushion can be difficult. One easy way to estimate is to take the cushion and wrap it in the fabric. 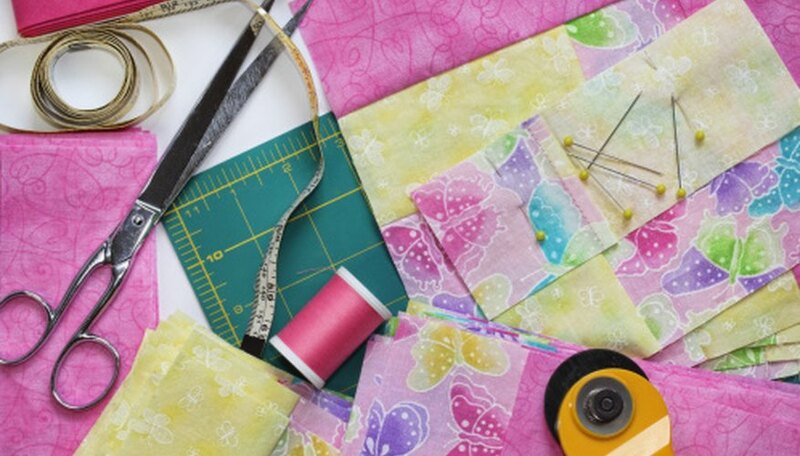 Purchase at least two or three additional inches of fabric to make room for seam allowances and mistakes. This method of estimation is somewhat unreliable and is not always a viable option. The best way to estimate the amount of fabric for a cushion is to use a slightly more complicated method. Determine what kind of cushion cover you intend to make or want to estimate. Cushions have three areas of size to cover; height, width and length. Most cushions have a top and bottom piece as well as side pieces to cover the width of the cushion. Some cushions forgo the middle piece, but many cushions have the middle section. Estimate the amount of fabric necessary for each cushion. Cushions between 14 and 18 inches long require half a yard of fabric. Cushions 19 to 24 inches require one yard of fabric. One half a yard of fabric can cover a chair cushion. A sofa cushion usually takes about two to three yards, depending on the size of the cushion. A ottoman cushion takes about two yards of fabric. Measure the cushion for a more accurate reading. Measure the length, width and depth of the cushion. One easy way to measure the entire cushion is to wrap a cloth measuring tape around the entire middle of the cushion. Do not squeeze the cushion in any way. Add an extra inch to each measurement to make room for a seam. Write the estimations of the fabric requirements and the actual measurements of the cushion down on a piece of paper. From this information, you can tell how much fabric to cut to cover the cushion. If you plan to add any additional details, such as ruffles or piping, you will need about one to three extra yards of fabric, depending on the size of the cushion. Remember, it is always best to have more fabric than necessary than to come up short. Decorator Secrets: How Much Fabric?